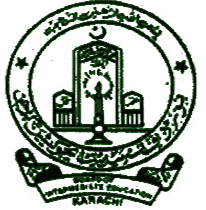 Karachi, Board of Intermediate Education Karachi will start the BIEK FA/FSc annual exams 2019 and the students can send their application forms with the payment of normal fee from 21 January 2019 to 21 February 2019. The students will have to pay the regular fee at the booth of UBL. The students will get the latest updates regarding BIEK HSC annual exams 2019 and they will follow the instructions to forward the admission forms for BIEK Inter annual exams 2019.